Coresight Research attended the 13th Annual VM Global Leadership Summit on March 20 in New York City. CEO Deborah Weinswig delivered the keynote address Consumers at the Crossroads of Tech and Retail and moderated a panel discussion titled Tactics and Insights for Decoding Consumer Behavior. Panel participants included David Hoodis, CEO at Mood Media; Nevin Raj, Cofounder and COO at Grata Data; Heike Young, Senior Manager, Strategy & Insights: Retail & Consumer Goods at Salesforce; and, Karl Haller, Partner, Consumer Center of Competency at IBM. Coresight Research’s BEST Framework provides a schema for reshaping retail to make the store experience rich with services and customization that build brands and customer loyalty. Physical retail is far from dead, it’s evolving and service can be a key differentiator that builds customer loyalty: Know its value and how to use it in a different way. Loyalty is a key focus in 2019. Complacency should be your biggest fear – along with not knowing your competitors. 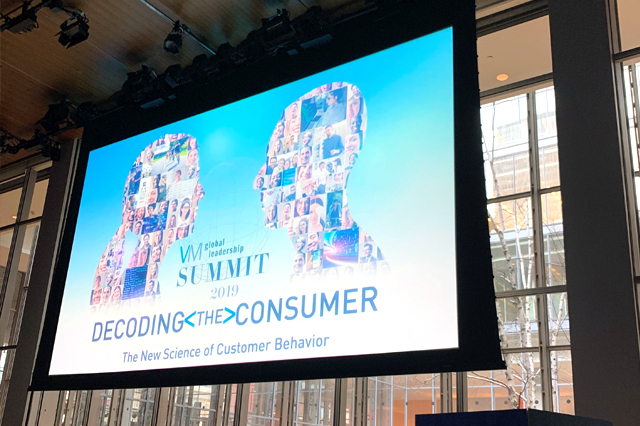 Coresight Research attended the VM Global Leadership Summit on March 20 in New York City. CEO Deborah Weinswig delivered the keynote address Consumers at the Crossroads of Tech and Retail and moderated the panel discussion titled Tactics and Insights for Decoding Consumer Behavior. 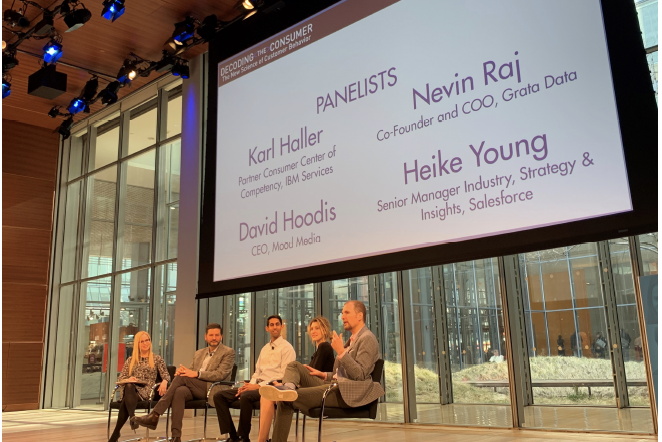 Panel participants included David Hoodis, CEO at Mood Media; Nevin Raj, Cofounder and COO at Grata Data; Heike Young, Senior Manager, Strategy & Insights: Retail & Consumer Goods at Salesforce; and, Karl Haller, Partner, Consumer Center of Competency at IBM. In her keynote address, Weinswig spoke to retail’s reinvention, from spectacular flagships to shorter leases and an agile approach to retail real estate including shorter leases and pop-ups. 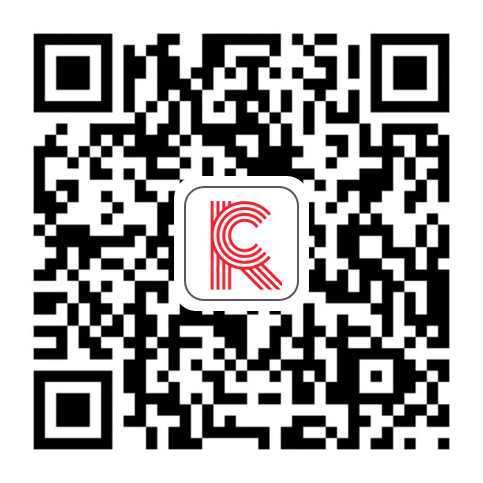 New Retail, an idea made famous by Alibaba’s founder Jack Ma, or boundaryless retail, is being powered by mobile apps that provide a seamless transition from online to offline and is the basis for Hema, Alibaba’s experiential grocery store that is setting records with its 20X conversion rate from online to offline. 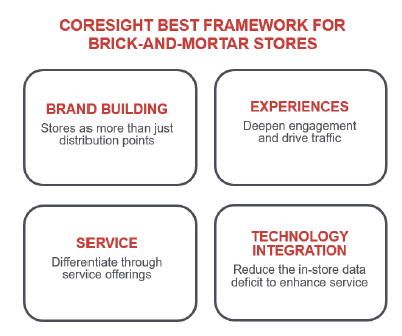 Coresight Research’s BEST Framework provides a format for reshaping retail: To make the store experience rich with services and customization that build brands and customer loyalty. BEST is an anacronym for Brand Building, Experiences, Services and Technology Integration. Western retailers could take another lesson from the east: shopping festivals. Alibaba created the Singles’ Day or 11.11 shopping event 10 years ago, and it has since grown to be far bigger than Black Friday, generating some $31 billion in gross merchandise value (GMV) for Alibaba in 2018. Amazon followed suit a few years later with Prime Day. Shopping events create buzz, generate excitement – and drive sales. It doesn’t matter what business you are in, celebrate it, create limited edition products, use social media to generate the buzz. Shopping events shared on social media are easy to create and use to build brands. Alibaba’s Tmall Innovation Center is achieving a virtually unheard of 95% success rate with product introductions based on brand adaptations. In a customer-to-business (C2B) feedback loop, they are tapping into customer preferences during product development and design and creating products tailored to current local tastes: Retail 101 powered by technology. Global brands such as Estée Lauder, L’Oréal, Mars and P&G are using the innovation platform to create locally relevant products for the China market. Coresight Research CEO Deborah Weinswig moderated the panel discussion Tactics and Insights for Decoding Consumer Behavior, with David Hoodis, CEO at Mood Media; Nevin Raj, Cofounder and COO at Grata Data; Heike Young, Senior Manager, Strategy & Insights: Retail & Consumer Goods at Salesforce; and, Karl Haller, Partner, Consumer Center of Competency at IBM. Service is a 2019 focus. Data-driven insights are helping brands maintain customer service levels, according to Raj. With several million online reviews, he noted the evolution from feedback that was product-focused 10 years ago, to reviews that address the customer service component of commerce, such as engaging with customer service, returns or customization. Never satisfied with the status quo. Many firms are “data rich and action poor,” according to Young, who recommends cross-functional work groups to share information and develop action plans. “Ask yourself who you compare yourself to. We see retailers compare themselves to some of the least innovative players, because they are the largest, most established. That can drive the wrong results,” according to Raj, suggesting benchmarking against tech leaders such as Microsoft, IBM, Amazon and Intel if you want to be thought of as a tech company.